Dubai: Satish Seemar had some good news to share with fans of Reynaldothewizard, the 12-year-old sprinting wonder of his pristine Zabeel Stables. According to Emirates Racing Authority (ERA) rules Seemar will have to retire his horse before he turns 13. However, the former champion handler revealed yesterday, that he plans to give Reynaldothewizard his final hurrah at the start of the 2018-2019 UAE racing season which starts in November. Reynaldothewizard will compete in tomorrow’s $2 million Dubai Golden Shaheen, sponsored by Gulf News, and Seemar believes that he can even pull off a surprise if he runs his race. 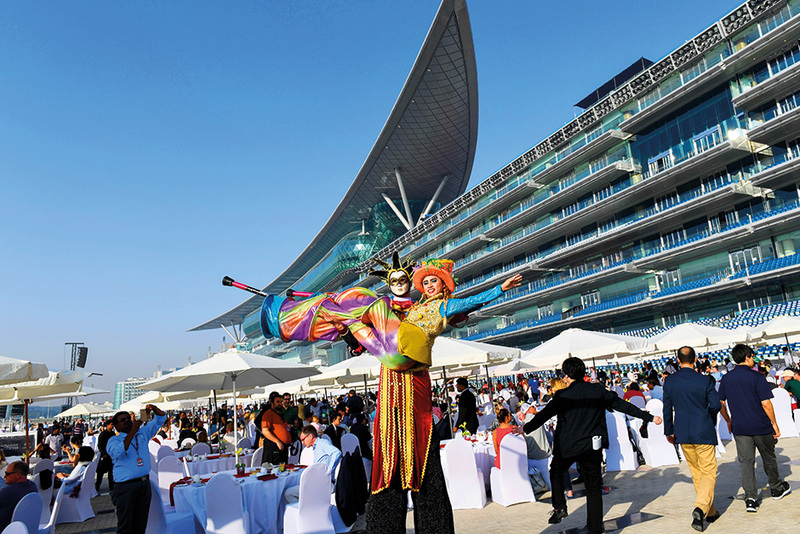 “Everybody knows about Reynaldo, perhaps more than about any other horse in the UAE,” he said. “He’s got fan clubs everywhere, and when he’s entered, I get emails, messages and WhatsApps from around the world. “He’s a very special horse for me and everyone at Zabeel Stables, simply because he’s been here the longest of any horse I’ve ever had. “We know him inside out, from his mentality to his physical ability, and only want to race him two or three times a year,” Seemar added. “He’s a true professional, and always has been. Top-class athletes are very disciplined, and he’s like that in animal form. He loves his sleep and loves to go and train. “We’ve never tried to change him, from the age of three when he came here from the US. Because of his experience and being the resident boss around the stable, he knows too much,” he added. Under the Emirates Racing Authority rules he can’t go beyond the age of 13, so this could be his last World Cup meeting, although I’ve heard that if he runs well to the end of this year, he can complete the season. But let’s see what happens on Saturday first,” concluded Seemar. Meanwhile, Richard Mullen, Seemar’s stable jockey who will be aboard Reynaldo just as he has all through the years, is looking forward to partnering North America in the $10 million Dubai World Cup. “You’ve got to get him out [quick]. That’s the main thing for me,” said Mullen. “We’ve got the draw [Post 2[, so the main thing now is break well and ease him into a rhythm. Mullen whose first major win came with Grazalema in the 2000 Al Fahidi Fort, is now eyeing the top prize with a horse he describes as a naturally front-runner. “Things are much easier when a jockey has Gates 1, 2 or 3 compared to Gates 6, 7 or 8 where you are required to work harder because the first bend comes up very quick. It just makes life a bit easier. You get into a nice rhythm earlier than you might have to if you’re drawn wider. That means you’ve used a bit more energy to get over to get your position early. I couldn’t be happier with the draw,” Mullen explained.